Over the next 12 days, I'm partnering with Neutrogena to offer my readers the chance to win some pretty fabulous products -- both from Neutrogena and some of my other favorite fashion and beauty brands! Check back every day for your chance to win another amazing prize. All of these products will make your skin look and feel its absolute best over the next few weeks. This giveaway has a retail value of $82. Here's how to enter. 2) Like The Beauty of Life on Facebook and leave a comment on my Facebook post about this giveaway telling me why you want to win this gift set. This giveaway ends on Thursday, December 13 at midnight. One winner will be chosen AT RANDOM on Friday, December 14. Maximum of FOUR ENTRIES (one for each way listed above). Multiple entries will be disqualified. Giveaway is open to US residents only. I love Neutrogena. Would love to win this entire kit. Wow! Thanks for this giveaway. 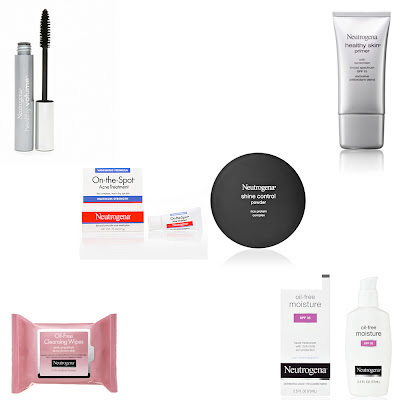 I've been using Neutrogena products for many years - they are a staple in my skincare regime! I love Neutrogena products. I really want to try the Healthy Volume Mascara. Thanks for this giveaway and Happy Holidays. I love Neutrogena's products. Thanks for the chance to win. I love your giveaways, and I love Neutrogena. Win win. Ohhh, I love Neutrogena! I hope I win! My hubby and I both use the oil free moisturizer and love it. We love Neutrogena products. I just bought the Norwegian hand lotion for my aunt and grandma. It was on their Christmas list. Oooh, Happy holidays! This is awesome! OOOH OOOH PICK ME PICK ME! Neutrogena makes amazing products! All the items in this kit look like winners! I would love to have this Neutrogena products to make my holidays less stressful. They would be great for quick changes for parties! This would be a great kit to have. A must have to help with already problem skin that gets worse during the holidays. What a great set...count me in! I would love to try these products, especially the Pink Grapefruit Oil-Free Cleansing Wipes. Thank you for the giveaway, I love Neutrogena products! I love Neutrogena products. I love this set!! I would love this for the holidays. Thanks for the chance. Huge fan of Neutrogena - would be thrilled to win!! How can anyone NOT like Neutrogena?? hehe because I'm pretty sure we have all grown up with it and have grown to love it and ALL of their products to the present day! This would be great for my oily skin.